王素瑩Percie Wong specializes in reading education. She is a degree holder major in Psychology (BSc. Hons) and a member of the Hong Kong Psychological Society. 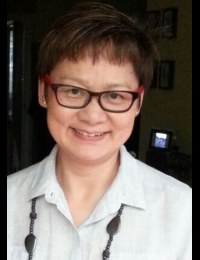 She is a qualified Trainer for Bring Me A Book Hong Kong (BMABHK) where she has extensive experience in conducting BMABHK First Teacher’s Training to parents and Train-the-Trainer Workshop to teachers and social workers. Miss Wong is passionate to motivate parents about reading aloud, English teachers and students to enhance English learning through picture books. Since 2012, she assisted BMABHK to take charge the Standing Committee on Language Education and Research (SCOLAR) English Alliance 2012/13 and 2014/15 projects. The aim is to create fun English language experience to Hong Kong primary and secondary students making use of picture books to promote literacy as well as enhancing English learning. From July 2013, Percie assisted Chen Yet-Sen Family Foundation (CYSFF) to conduct training workshops in Hefei, China to primary level English teachers – “Scaffolding Children’s English Learning through Picture Books”. Its focus on the classroom based reading aloud techniques and how it could help English teaching and expose students to interesting literature, as well as fun learning. She conducts English Storytelling sessions at Hong Kong Public Libraries and community centres regularly using interactive read-alouds with the systematic approach to develop children’s understanding of vocabulary as well as the phonological awareness in boosting their oral English.